Aron Beam promoted phony gold rushes all over the central United States, from Arkansas to Colorado. 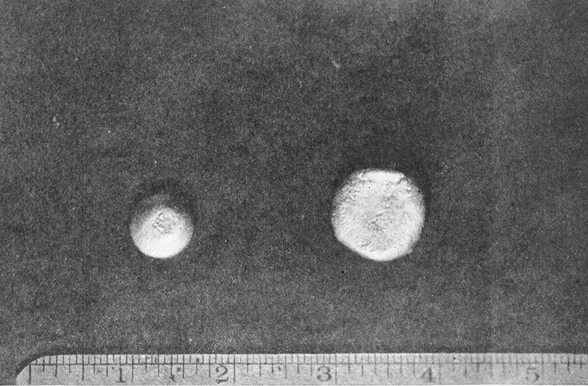 Beam used false assay results to promise that he could recover gold from rock that contained none, if the suckers would use his patented Beam process. 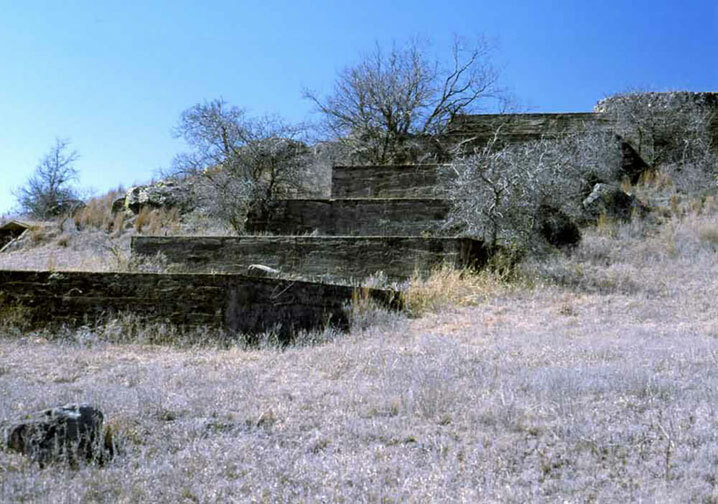 Like the lonely pedestal of Ozymandius, these concrete foundations of an ore mill are the only remains of the gold-mining boom town of Wildman, Oklahoma. 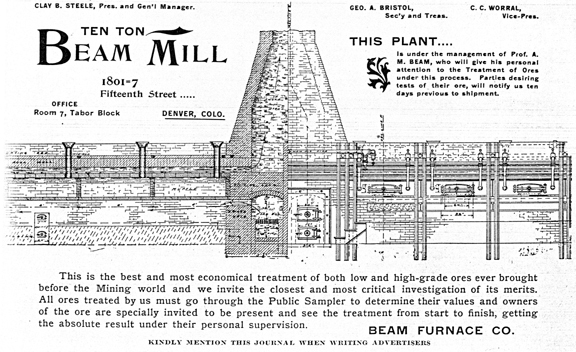 The mill was built to extract gold that wasn’t there. Beam was instrumental in promoting worthless gold prospects in southwest Oklahoma, but I don’t know if he had anything to do with this one. 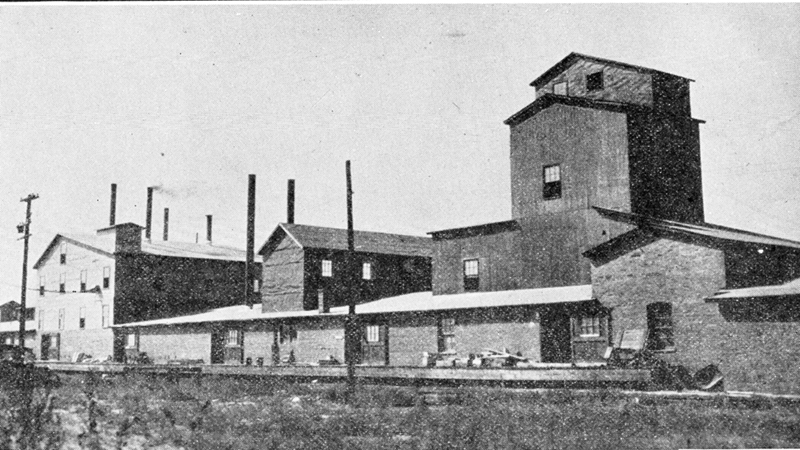 When western oil shale boomed in the early 1920s, Beam said that his process could recover significant amounts of gold, silver, and platinum from the oil shale. Reputable assayers, however, could find only trace amounts of those metals. Above is his oil shale test plant in Denver. Buttons of gold that Beam claimed to have extracted from oil shale.